Fly by: 2011’s final birds. 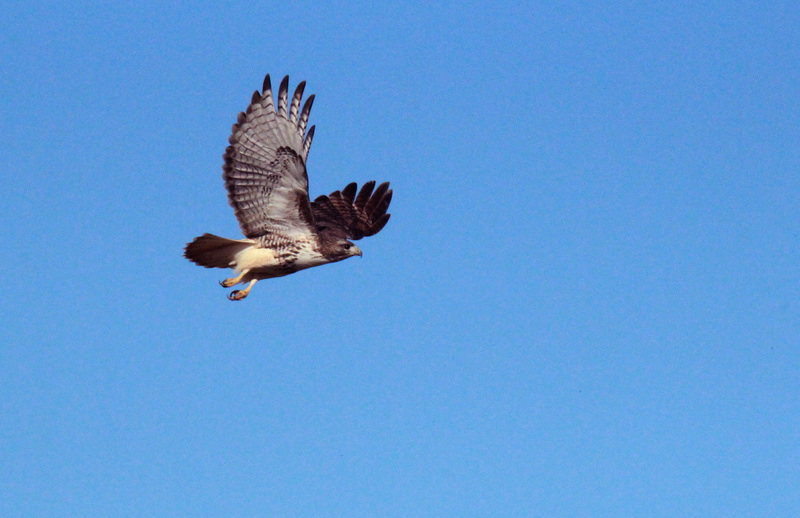 A Red-Tailed Hawk soars through the sky on the last day of 2011. 2011 ended and 2012 began with a bang. I was able to scratch off more birds off my list of those to see with the help of my family to identify some of the birds I saw. I’m slowly learning that identifying the birds I take pictures of is the hardest part of my new hobby. Hopefully, it’ll get easier as time goes by. Still, feel free to correct me if I do misidentify a bird. 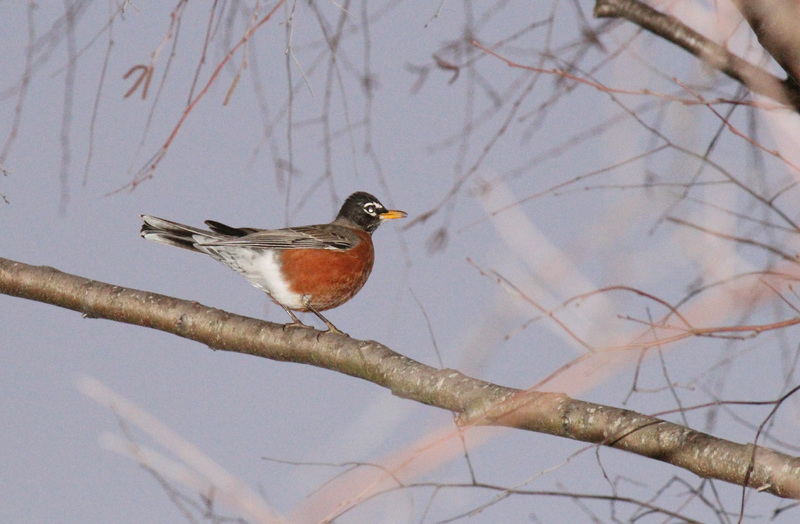 An American Robin perches on a branch near my house on Dec. 30. 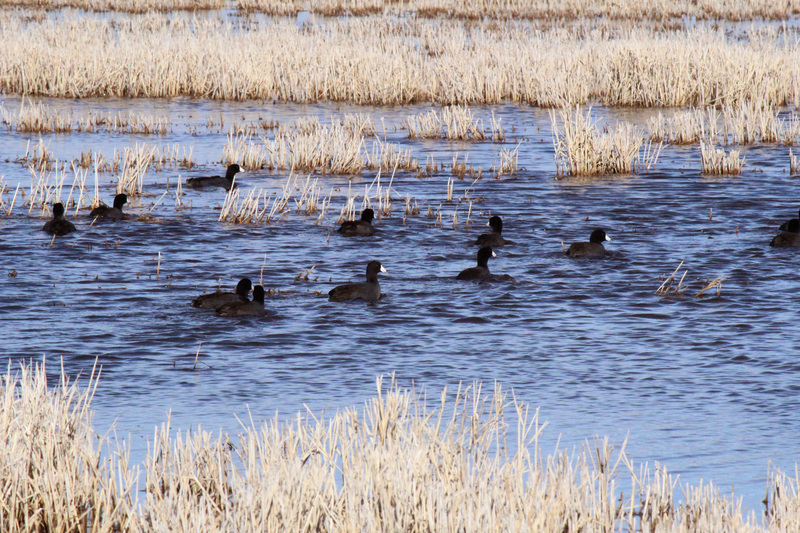 American Coots swim away from the road in a flooded field on Dec. 31. It's a frequent sight when I head to Wynne to visit family. 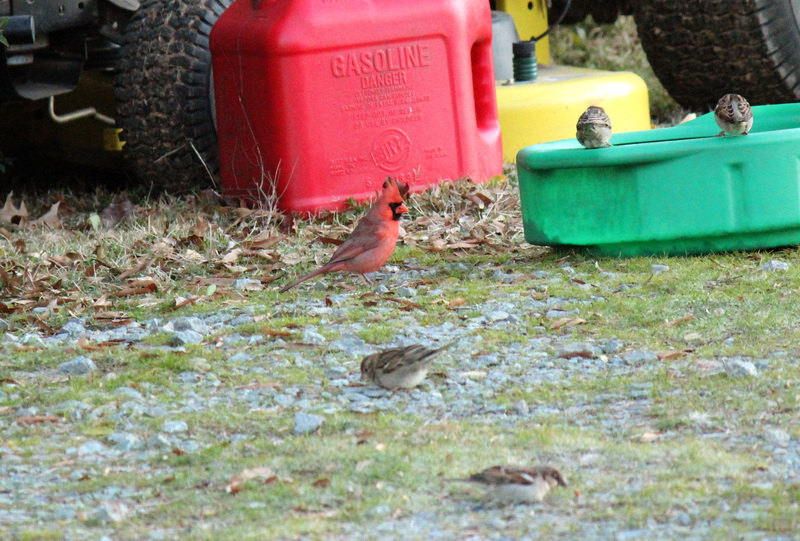 A Northern Cardinal hops around gathering food beside White-Throated Sparrows near my back door this morning. 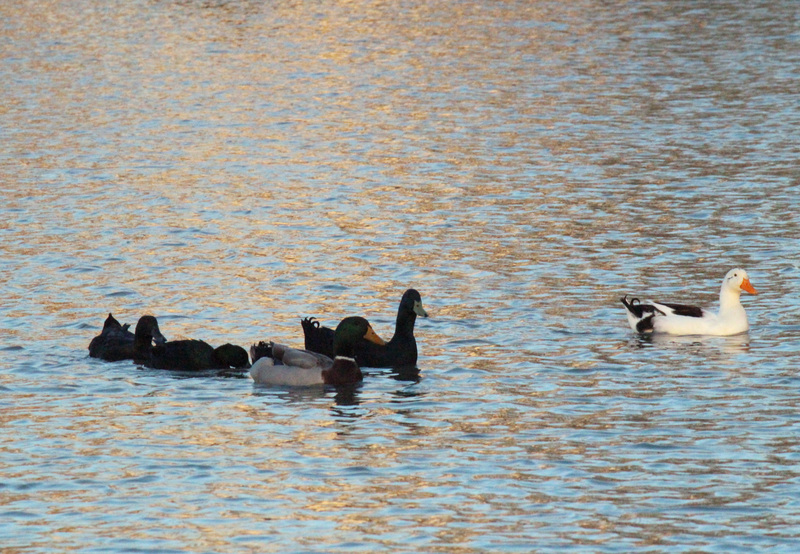 A snow goose, Mallard duck and American Coots swim around my uncle's pond in Jonesboro on Jan. 1. Living it up in Washington, D.C.